In addition to our Annual Dinner, CDT is also excited to announce that we will host a 25th Anniversary Gala, scheduled for November 9, 2019. This intimate, black-tie event will celebrate 25 years of CDT, our supporters, and our collective work protecting digital liberties. 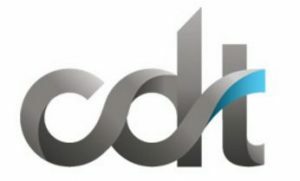 Preliminary sponsorship and ticketing information may be found at cdt.org/annual-dinner. Please contact [email protected]cdt.org with questions.